I missed the memo about attention deficit and Downton Abbey. As I begin writing this post, it’s about T-minus one hour until the finale of season 2 of Downton Abbey and I am all a-flutter as I anticipate the resolutions and cliffhangers that might be a part of this delicious bit of television. I do love TV, but I’ve found in recent years that I’ve become a pathetic multi-slacker. I typically can’t watch TV without my laptop and phone nearby. 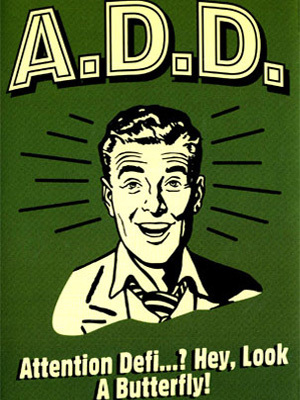 I think my inability to focus is pretty symptomatic of the mixed blessing that is modern living. The gizmology which permits such wondrous access to information and interconnection does have the side effect of taking us out of the present moment. Often if I’m watching TV, I’m also looking up the actors on the IMDB website, or reading and posting comments about what I’m watching. I suppose this does kinda enrich my TV watching experience, since I learn a few tidbits about the careers of the actors I’m watching and sometimes comparing reviews in real-time can be fun. But mostly, I think, it distracts my attention to the point that I miss out on whatever really good bits there might be in whatever it is I’m watching. I’ve been reflecting on my scatter-brained approach to my viewing habits since I’ve begun watching Downton Abbey. In case you missed the Downton Abbey memo too, I won’t give anything away, but it really is the most fantastic TV show. It’s on PBS, but don’t let that dissuade you. At its core, it’s a soap opera, with all the wacky twists and machinations that make that genre so delectable. But its setting in Edwardian England, on an unbelievably beautiful estate, elevates the upstairs-downstairs drama to new heights. While my love of NPR is unparalleled, I’ll cop to the fact that I haven’t been a huge fan PBS, until now. I think I’d avoided PBS programming because it doesn’t lend itself to my distracted way of watching TV. To enjoy a show like Downton Abbey, which has a gazillion characters and lots of textures, you have to pay attention. No tweeting, no Facebooking, no working on your blog. Just watch. And for watching, one is richly rewarded with zingers as delivered by the incomparable Dame Maggie Smith. So…15 minutes to go now, and we’ll see if Cousin Matthew and Lady Mary uncross their stars and find a way to be together, and if so what might Sir Richard do to seek his revenge? And what about the beautifully stoic and recently newlywed Mr. and Mrs. Bates? Will they find their happiness destroyed by a wrongful(?) conviction? And what about Lady Sybil and Mr. Branson, and the unwed mother Ethel, and the conniving footman Thomas, and oh poor, plain Lady Edith, will she ever find a beau? These questions and more may be answered tonight…so time to put away the laptop and really tune in. Memo received. p.s. 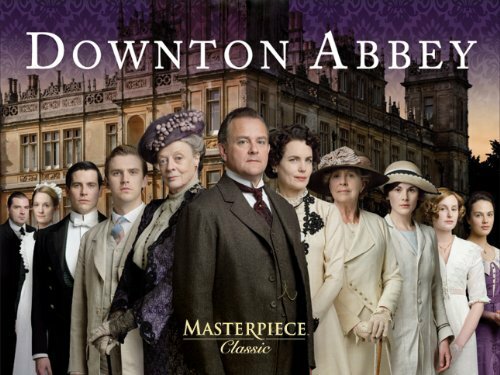 The first season of Downton Abbey is available on Netflix and Hulu, and the current season can be streamed from the PBS website. Be warned, it’s addictive! Sometimes I think you’re reading my mind when you post! I have to put away my laptop and phone when Downton is on, or I feel like I’ve missed too much! No spoilers, but did you like how the season ended? I liked it! I did think the Lady Mary/Matthew stuff was a little tidy, but how long could they drag that out? I’m dying to see how the Mr. Bates appeal works out…I have a theory as to who the murderer is, and I will be so gratified if I am right! Next season should be a lot fun, especially with Shirley MacLaine going toe-to-toe with the Dowager Countess! I was very late to the Downton Abbey party and watched all of season 1 in the two days before season 2 premiered, so waiting for season 3 is going to be agony! What did you think? I don’t watch that particular but it sounds right up my alley. But I do the same thing about multi-tasking my entertainment. It’s amazing how I can’t sit through one episode of the Simpsons without my beloved gizmos. Well observed, Jamie!